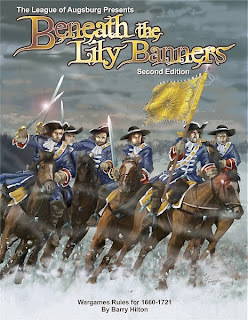 Barry Hilton - Standing armies were a relatively new concept and some countries such as France and Holland had by the 1680s, much more practice than others. The British Army’s performance under William III is not particularly noteworthy despite the fact that individual regiments often performed tenaciously. It is also important to recognize that from 1688 to 1697 and again during the War of the Spanish Succession, the British Army did not take the field as a distinct entity but worked mostly as part of a larger Allied army dominated by Dutch troops, senior officers and doctrine. The British had to win the respect of their Dutch Allies and this happened but slowly. Although many famous British regiments were present at Steinkerke (1692) and Neerwinden (1693), the first battle honour carried by any unit in the modern army is Namur (1695) largely because this was their first notable victory. The gritty behaviour of the British infantry particularly, at these three battles did much to create a positive impression with their continental partners. Ever the arch - political pragmatist Willem’s somewhat negative view of officers and men did not extend to his attitude concerning English money which helped enormously in his war with France. Up until the Act of Union in 1707 both kingdoms maintained separate armies. The Scottish Army, although modest was a distinct entity and so talk of a British Army before that date is inaccurate. To further complicate matters Scottish regiments existed on both the English and Dutch establishments before and after 1707. The professionalism of the Dutch, Danish and Swiss troops of the period is well documented. Louis XIV’s large Maison du Roi (Household) is conspicuous throughout and recorded as a formidable battlefield force deployed in a far more active role than Napoleon’s Imperial Guard. A major bonus of collecting wargames armies of this era is the absolutely stunning spectra of uniform colour and flag design. It is a riot of colour and amazing fusion of geometric and heraldic designs. Part of the reason I was asked to pen this piece is I have been studying, writing about and gaming the period fairly continuously for 21 years. During that time I have happily used different sets of rules and gamed in different scales. Contemporary rule sets such as Black Powder will, I am certain, give enjoyable games. I have used adapted ECW rules such as 1644 very successfully with minor modifications. WRG 1420-1700 cover the period. I started with the WHC Marlburianrules adapted by a friend for the period 1688-1697 and enjoyed those very much for several years. 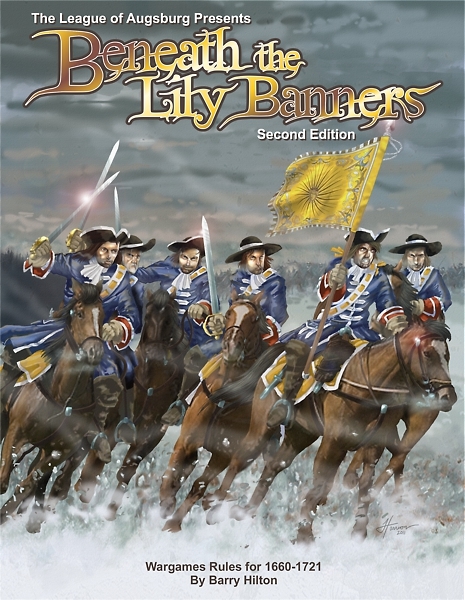 Dozens of games steered me towards developing my own rules which appeared in 2008 as Beneath the Lily Banners. Games are essentially linear and the movement rates make infantry cumbersome but to get a real feeling of the period you must get the proportion of Foot and Horse correct in your force. A ratio of 2:1 is perfect. This gives cavalry enormous significance and creates huge swirling melees all over the table. Without these proportions properly dealt with the games will be dull, the cavalry an insignificant irritant and the infantry fire fights predictable. I have alluded to many scenarios from the smallest to the largest in the text so far but part of the joy of this period is continually uncovering new information about units, uniforms, actions and organization. Wargaming is a hobby which allows us to flit from project to project and this stimulates and keeps the enthusiasm bubbling over. I am as prone to this syndrome as every other gamer but I must confess that I have never at any time completely dropped my interest in this amazing period of political change and military awakening.